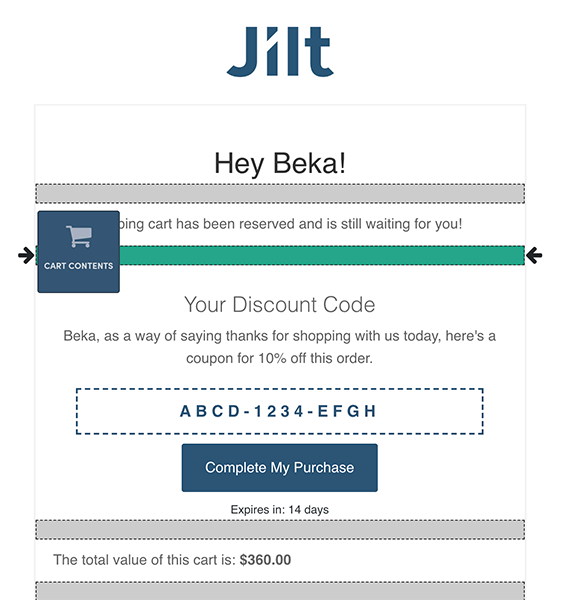 Jilt has the most common eCommerce email marketing campaigns built-in. 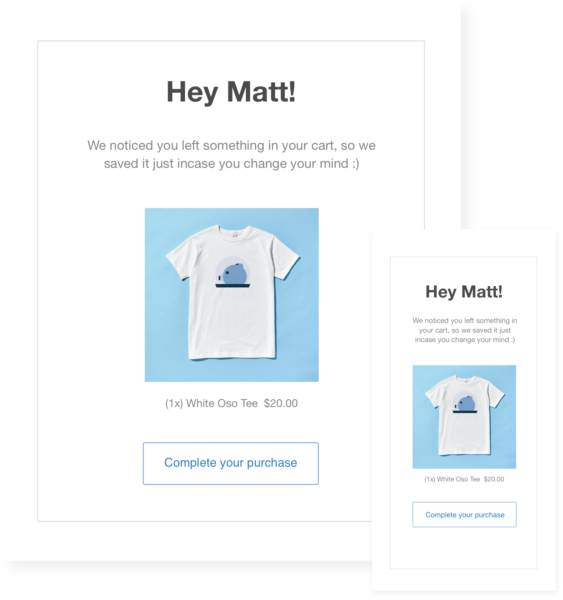 With content and design ready-to-go, you can be up and running in minutes, confident that you’re sending emails that use industry best practices. 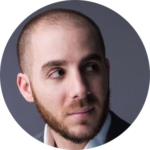 It’s no secret that personalization helps you build relationships with customers to foster loyalty. 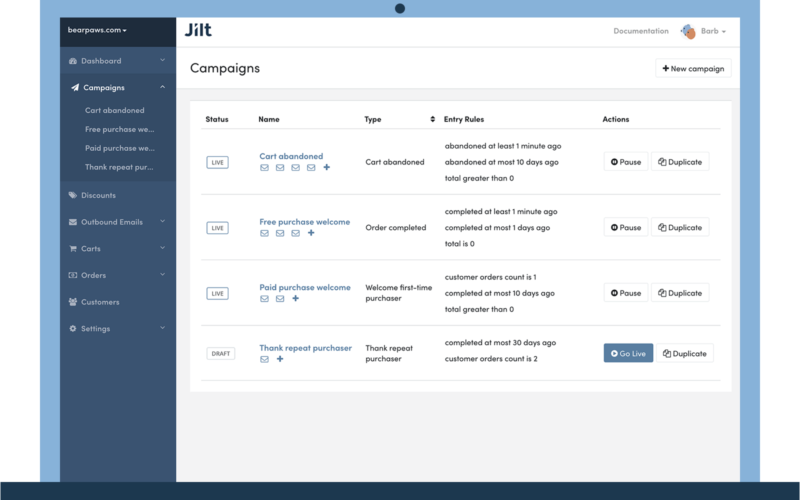 Jilt gives you fine-grained control over which customers receive which emails, helping you tailor your content to your audience. Who likes to repeat work? 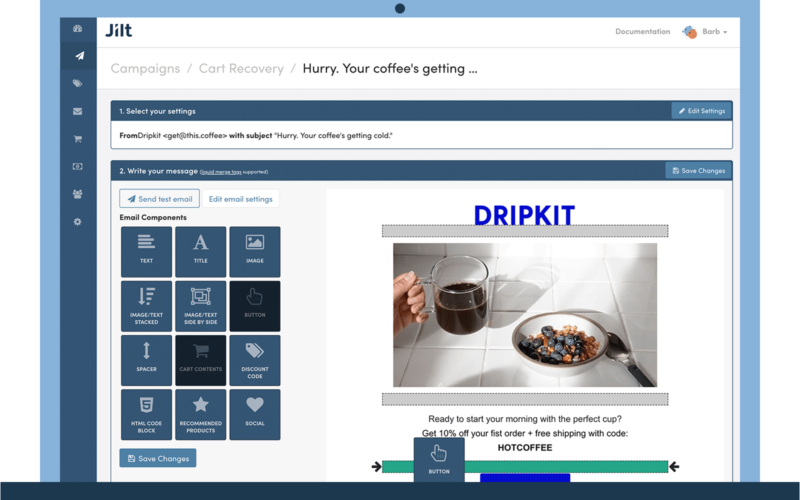 Jilt lets you automate discount creation, product recommendations, and sending email drip series around your customer journey. Keep a pulse on your store’s most important metrics at a glance. 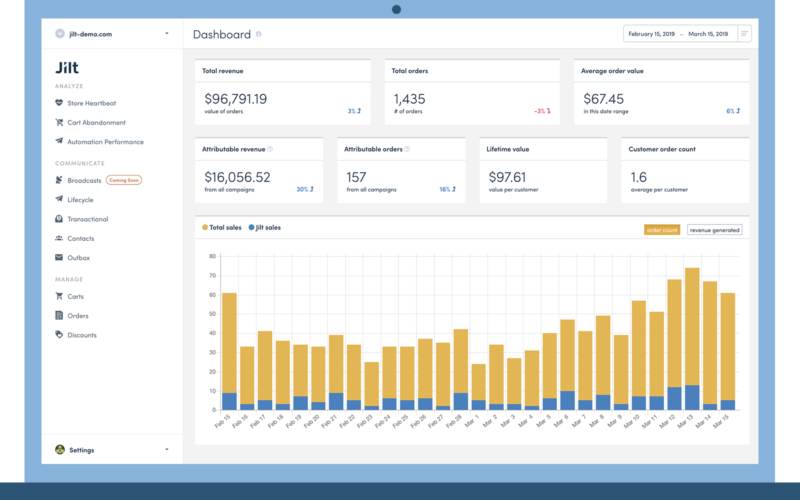 Jilt provides a quick view dashboard for important store metrics, and lets you take a deep dive into campaign performance for every email you send. 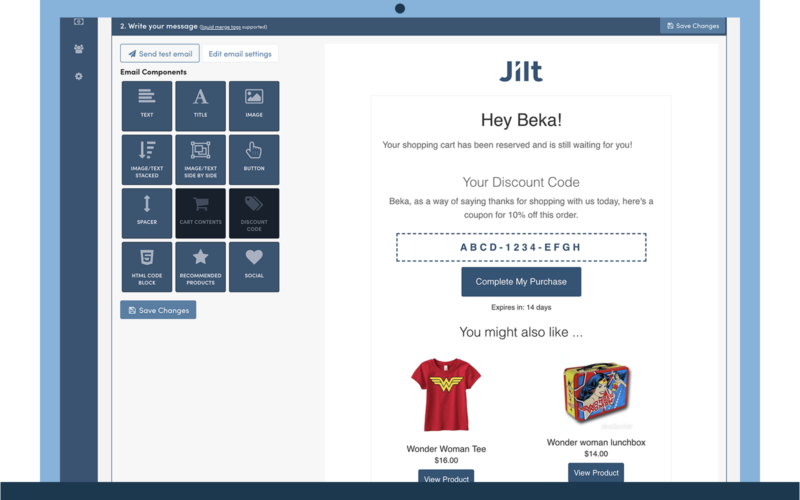 Simple for merchants, powerful for developers: Jilt’s email editor provides an easy-to-use, drag-and-drop interface to help you build beautiful emails, and developers can use liquid template tags to include dynamic content. 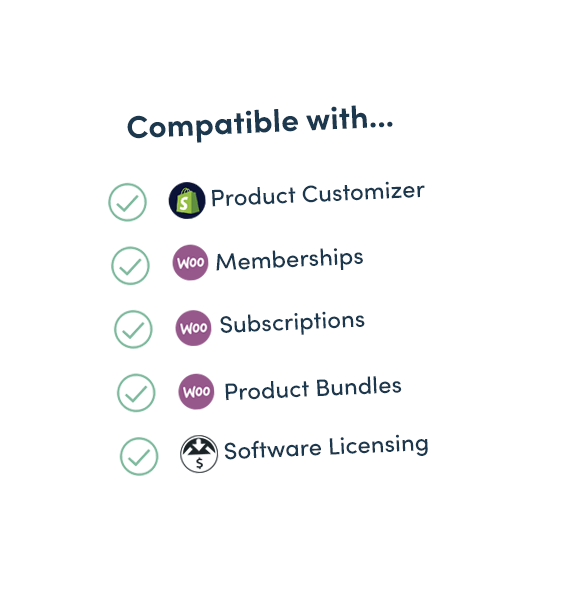 Join thousands of other forward-thinking companies that use Jilt to drive sales. 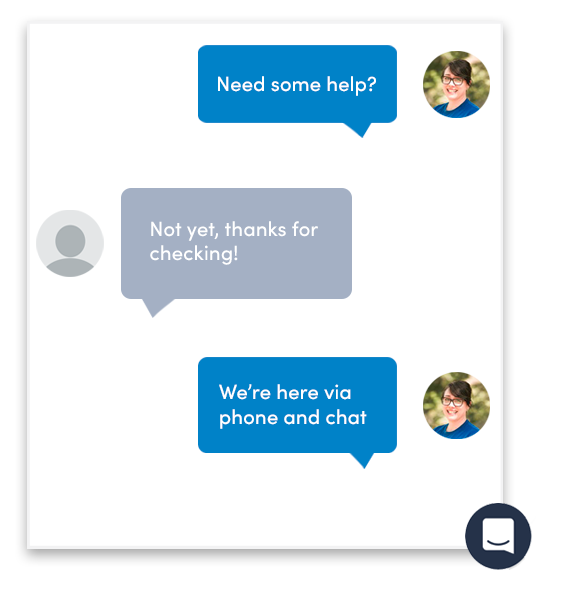 Jilt is so effective, customizable and responsive that we use their service ourselves and rely on them to help us recover lost revenue. Simple to use and easy to integrate with Shopify, WooCommerce and Easy Digital Downloads platforms, Jilt is the best option for abandoned cart recovery.